With all the usual early-in-season, small-sample caveats, here is our first look at the Bulls pitching staff. Note that the numbers for the two recent departures (Lueke and De Los Santos) are not included here. Looks pretty normal here. 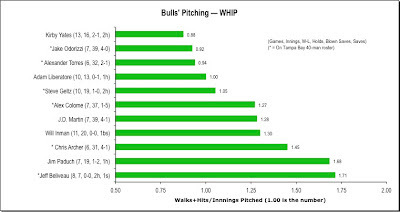 Chris Archer has missed a start, but he’s supposed to pitch tonight to catch back up. Had not realized that Kirby Yates was leading the team in appearances. 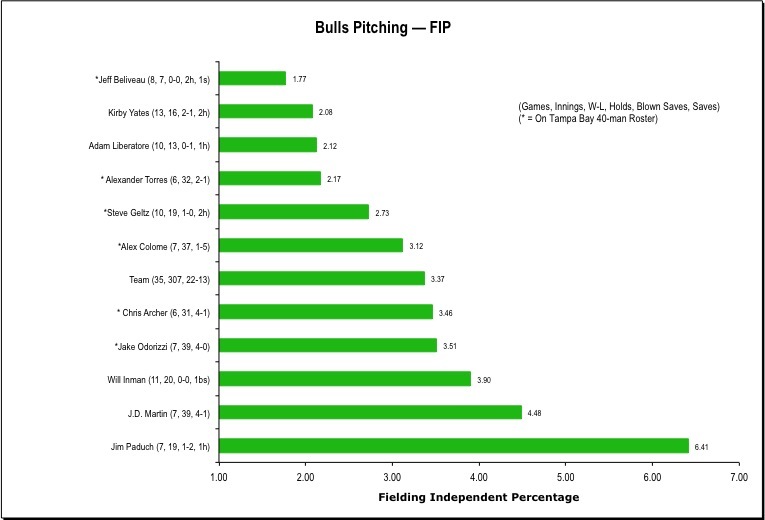 Very likely he will take Lueke’s place as a closer. 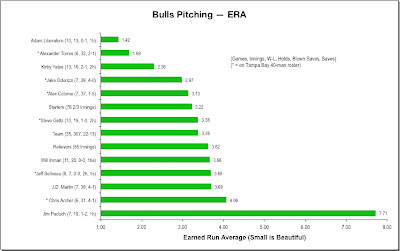 I worry a bit about the relievers' combined ERA, but, excepting the outlier of Paduch, this is a pretty good picture. 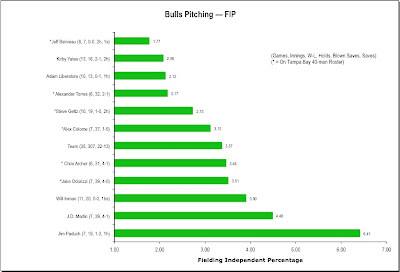 I’m not a huge fan of Fielding Independent Percentage as a stat. I appreciate that it certainly seems more accurate than ERA, but sorted out like this I’m not sure that it tells us anything more that ERA. See the discussion at the link. 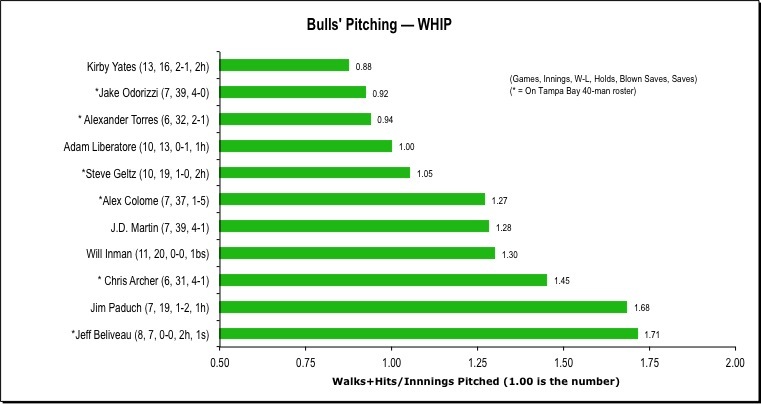 Fans in our area of the DBAP don’t think much of the WHIP (Walks, Hits, per Inning Pitched) stat, and neither does FanGraphs. 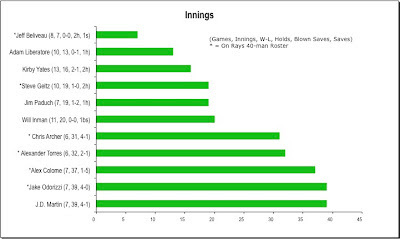 But here it is for those who like the stat. 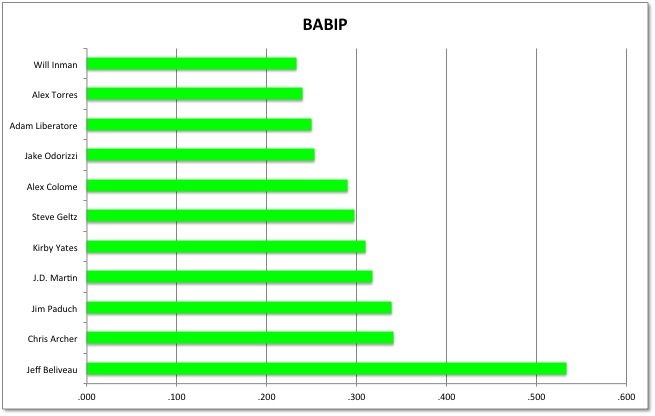 Lastly, and only because I just wasted a couple of hours of my life trying to figure it out, Batting Average of Balls in Play. 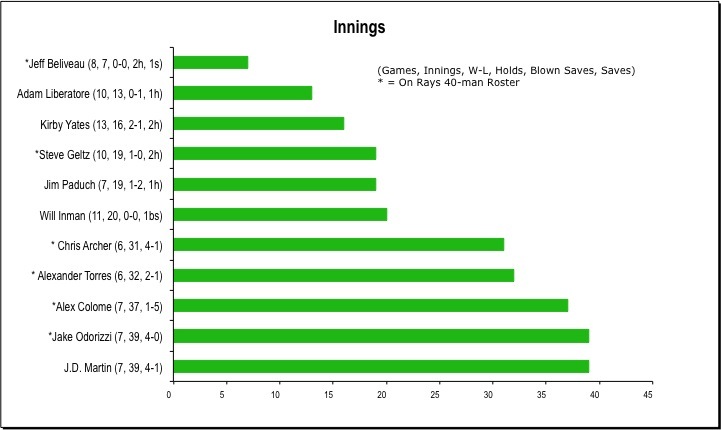 To summarize, for most pitchers it should be around .300. 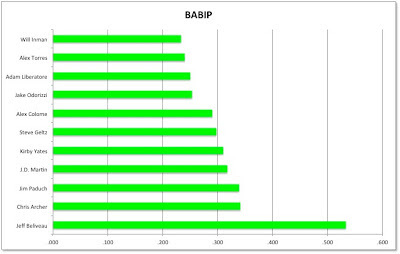 So Paduch, Archer, and especially Beliveau, have been "unlucky." Unless someone can tell me why we should care, don’t expect to see this one again.